Andres suspects his wife has left him—again. Then he learns that the unthinkable has happened: she’s been kidnapped. Too much time and too many secrets have come between Andres and Marabela, but now that she’s gone, he’ll do anything to get her back. Or will he? As Marabela slips farther away, Andres must decide whether they still have something worth fighting for, and exactly what he’ll give up to bring her home. And unfortunately, the decision isn’t entirely up to him, or up to the private mediator who moves into the family home to negotiate with the terrorists holding Marabela. Andres struggles to maintain the illusion of control while simultaneously scrambling to collect his wife’s ransom, tending to the needs of his two young children, and reconnecting with an old friend who may hold the key to his past and his wife’s future. 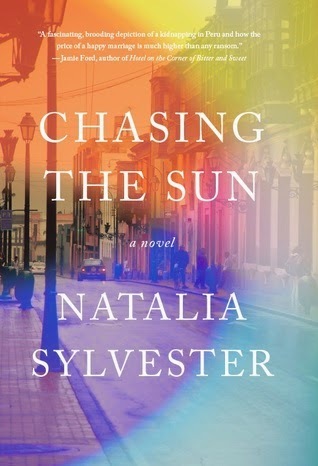 Set in Lima, Peru, in a time of civil and political unrest, this evocative page-turner is a perfect marriage of domestic drama and suspense. I loved the writing in the first two thirds of the book. I really liked the characters and cared about what happened to them and how they would deal with the trauma of the kidnapping. I also liked that the second part of the book deals with the aftermath and that we got to see what happened to the family and how they coped. However, the last third of the book didn't seem like it went well with the first two thirds. This was especially true it the last fifty pages or so, when I felt like several of the main characters acted in a way that we had been led to believe was not like them at all. Andres in particular undergoes a change in the last few pages of the book that had me shaking my head. We spend a large portion of the book in his head and his final actions just don't go along with his thoughts and feelings throughout the rest of the book. This is where the book really shines - I absolutely devoured it. I was into the story and captivated by the characters, especially the children. Even though I didn't like the ending and didn't think it fit well with the rest of the story, discovering where things were headed kept me reading and interested. I was also fascinated by the setting of Lima and the situation faced by citizens when kidnappings are frequent and involving the police isn't an option. I think it's a decent read, definitely worth giving a try if the setting and intrigue appeal to you. The ending really threw me off, but I thoroughly enjoyed the read up until that point. I'm excited to hear what the rest of the reviewers on the tour have to say about it. Thanks to TLC for providing me with a copy to review. Click here to see the other blogs participating.